It can be difficult to tell the difference between the types of stinging insects, including yellow jackets, bees, wasps and hornets. 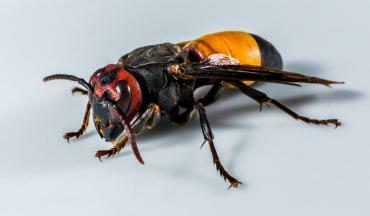 As the summer months mean children spending more time playing outside, it’s important to learn how to distinguish between wasps and hornets and the correct first aid for each type of sting. Wasps and hornets both belong to the Vespidae family of insects, but they each have some distinguishing characteristics. There are more than 100,000 species of wasps. They typically have long, thin legs, two pairs of wings, and can be brightly colored. There are some species of wingless wasps that are often mistaken for ants. Hornets are technically a subspecies of wasps that have wider heads, larger rounded abdomens, and a different life cycle. 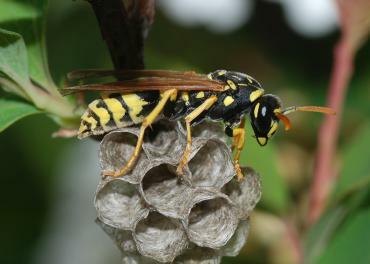 Hornets are not as colorful as wasps, as they typically are black and white or brown and red. Some species have stings that can be fatal to humans. People with bee, wasp, or hornet allergies should always carry an epinephrine auto-injector to quickly treat a sting. If you or your child have a serious allergy to stings and are stung by a wasp or hornet, call 911 immediately. If your condition isn’t life threatening, but you would still like to consult a healthcare professional, FastMed Urgent Care is open 7 days a week to provide patients with fast, compassionate, and affordable medical care. Check out our Health Resources Center for any other health related questions you have. Stay educated about wasps, hornets, and any other injury or illness risks your children may face this summer!